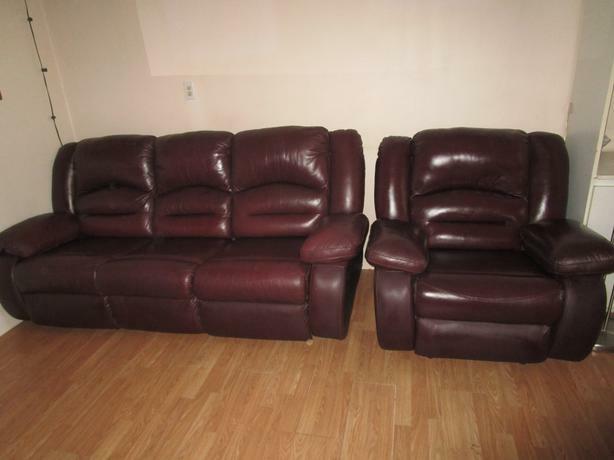 Double reclining sofa & matching lazy boy rocker - burgundy leather (some parts are leather, other parts are leather composite. 1600 new. Almost perfect condition. At Winlaw / Vallican.